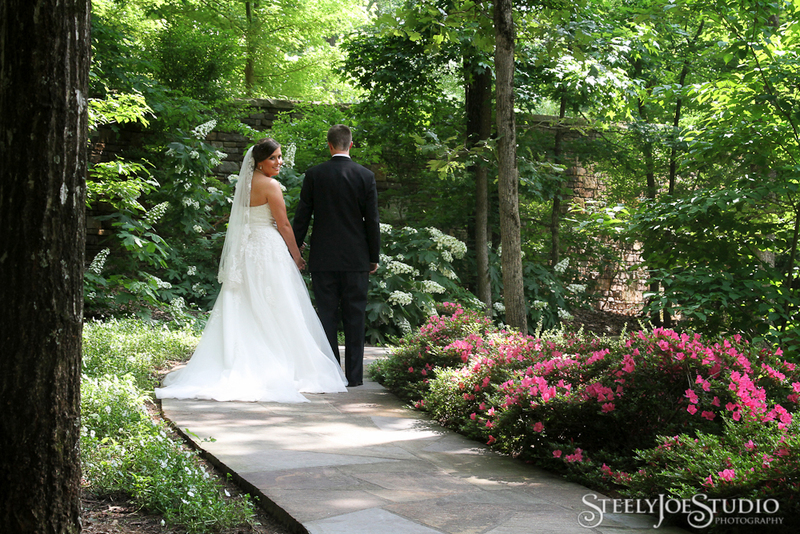 Garvan Woodland Gardens in the spring – you couldn’t ask for a more beautiful wedding venue! Back when we lived in Arkansas, we had the opportunity to photograph a destination wedding in Florida. So it’s kind of funny that our first destination wedding after moving to Florida was in Arkansas! 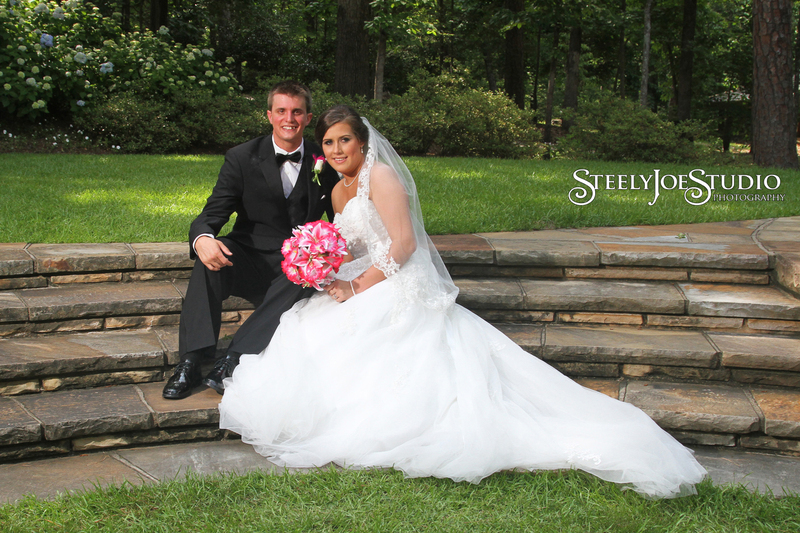 We had the honor of photographing Adriana and Brad’s beautiful spring wedding at the amazing Garvan Woodland Gardens in Hot Springs, Arkansas on May 25, 2013. The Gardens are one of the premier wedding locations in central Arkansas and truly unique venue. The bride and her lovely bridesmaids. The fuschia and green color scheme worked perfectly for a garden wedding. The DIY bride is a huge trend right now. It allows the bride (and usually some helpful friends and family) to put a very personal touch on the day’s festivities. In this case, all the flowers were designed and executed by Adriana and friends. They did a great job! The bride and groom mentally prepare before the ceremony. Although they didn’t see each other before hand, they did do a quick prayer around the corner from each other. This can go a long way towards easing pre-wedding anxiety! While it is now very common for the bride and groom to see each other before the ceremony, there are still those who choose to hold to the old tradition of keeping the bride and groom separated. In these cases, I highly recommend devising a creative way to make contact with your sweetie. You can use a corner, door, or even a blindfold to make sure the groom doesn’t peek. It is amazing how much this relaxes both parties before the ceremony. The processional at Anthony Chapel. 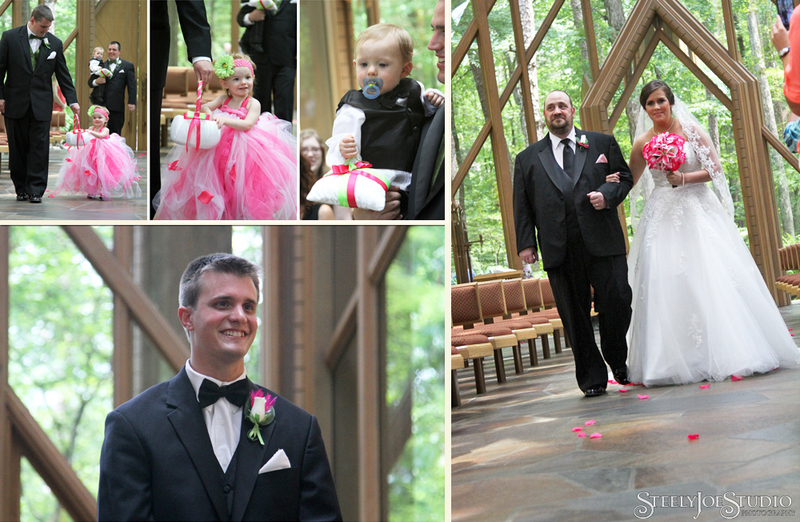 The tiny flower girl and ring bearer were quite the scene stealers! The wedding ceremony at Anthony Chapel. This is a venue that needs no decoration! For the folks who think this venue looks familiar, Anthony Chapel is another stunning work by E. Fay Jones, the mind behind Mildred B. Cooper Chapel in Bella Vista and Thorncrown Chapel in Eureka Springs. Each is unique, but have a similar feel. Anthony Chapel is located in the Celebration Garden, which provides many great portrait locations. The first dance and reception details. Time to cut the cake then party! DJ Xavier from central Arkansas Entertainment did a great job of getting everyone out on the dance floor. I love this image from the last dance of the bride and groom. The bubble send off was the perfect way to end the day. The lovely bride is my cousin, and I am very honored that I had the privledge to travel all the way from Florida to photograph this special day. It also gave me and Ed a chance to spend some time with relatives that we just don’t get to see often enough. In fact, they convinced us to go play mini golf after we finished shooting an all day wedding, which shows how much we like to spend time with them, because we would usually go back to the hotel and collapse! A stroll through the Celebration Garden. Congratulations to Adriana and Brad! May you continue to be an example of God’s Love to everyone you meet. 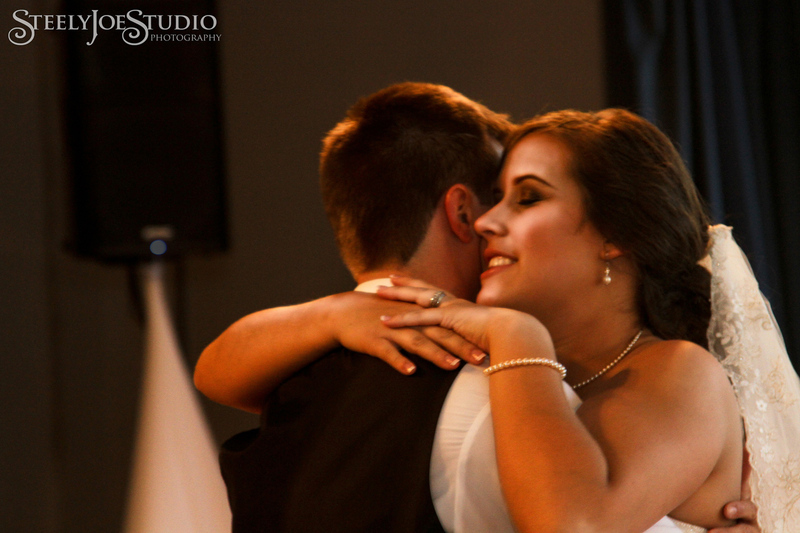 Categories: bridal portraits, destination wedding, wedding photography | Tags: Celebration garden portraits, Destination wedding photographers, fuschia and green color scheme, Garvan Woodland Gardens, Hot Springs AR, spring garden wedding, Tampa Bay Wedding photographers | Permalink.